This listing is for lot 2 only as a sample. 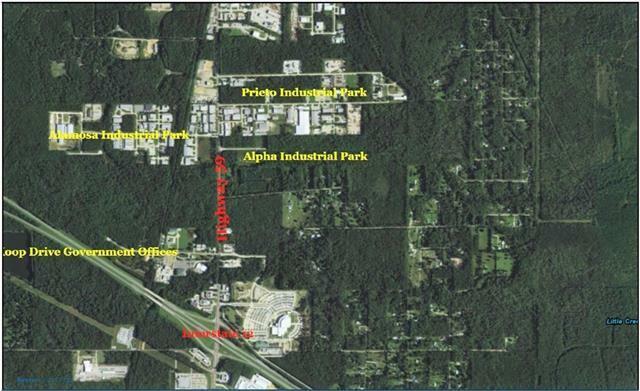 Prieto Ozone Industrial Park with 10 lots for sale. Lot 1 is listed under separate ownership at $3.95 psf. Remaining lots are $2.75 psf. Exact sf to be determined by Purchaser survey. Lots 2,3 and 5 are to include a 79' drainage servitude in rear. All lots also include a 60' servitude of passage known as South Lane. Zoned I-2 this property has base flood elevations above 16 feet. No wetland determinations on file. Flood Zone C/X. BFE are 16 feet at lowest.